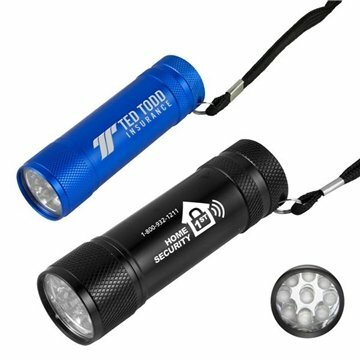 Traditional aluminum flashlight with a sleek and modern design. Small shifting of imprint cannot be avoided when Laser Engraving. As each product is manufactured and printed individually, up to 3/16" movement in logo alignment may occur. They are great to use as giveaways. Everything was great! Our logo came out great. I wish the prices had remained the same,because I want to order again. A great giveaway at our event! They were excellent and we passed them out at our annual meeting.